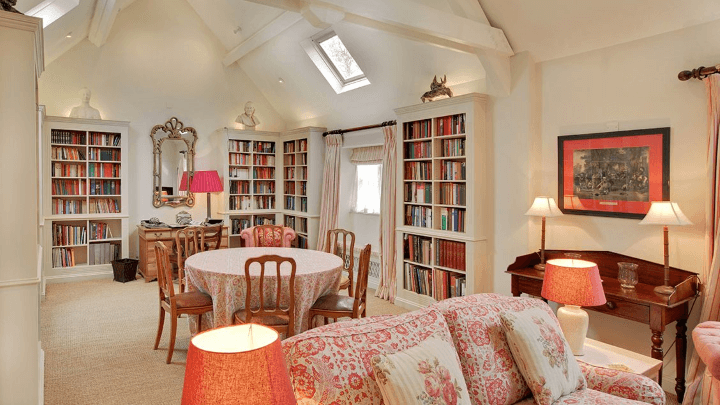 This beautiful collection of cottages is located in the Cotswolds in Oxfordshire, with 12 luxury properties set amid the stunning surroundings of a scenic countryside estate. You won't find generic, cookie-cutter holiday homes here — each has its own unique layout with individual features and a style and appeal all of its own. That means there's something here to suit the needs of any type of holiday, whether you're looking for a peaceful romantic escape, a fun break with the kids, or a chance to host a huge get-together with family or friends. With immaculate design and decor inside and out as well as the highest levels of attention to detail, these cottages offer truly luxurious self-catering holiday accommodation, complete with all the furnishings and facilities you'd expect. There's also countless things to do within the grounds of the estate itself. The heated indoor pool is the perfect place for a splash around, with loungers surrounding it to add that extra opportunity to relax. Buoyancy aids and play equipment are available to ensure young ones have fun in the water. Those who like to keep in shape even on holiday can make use of the convenient gym, where you'll find a running machine, exercise bike, cross trainer, rowing machine, exercise balls, cables, power plate, and free weights. If you'd prefer to spend your holiday unwinding from the stresses of everyday life, the calm and tranquil surroundings of the spa are perfect. Enjoy a massage or beauty treatment from our trained professionals. Children won't run out of things to do here, with play facilities including 3 playgrounds, a play cabin, and plenty of toy cars and bikes. There's also a games room for older children, with ping-pong, pool, table football, and gaming consoles. The cottages boast both private and shared gardens which make for a perfect place to unwind on a sunny summer's day, with trees, flower beds, patios, pergolas and more, landscaped for a traditional country garden feel. These luxurious self-catering cottages offer a holiday experience you won't forget, with unparalleled levels of comfort and convenience. The surrounding estate is beautifully landscaped and offers access to a whole range of on-site amenities to make your time here really special. 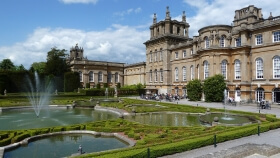 The incredible Blenheim Palace is the home of the 12th Duke and Duchess of Marlborough, as well as the birthplace of Sir Winston Churchill. With its amazing architecture, rich heritage and beautiful landscaped grounds, it makes for an amazing place to spend a day out. Discover the fascinating world of these aquatic reptiles at the UK's only crocodile zoo, where you'll find a range of crocodiles, alligators and caimans. On top of that there's a variety of lizards, snakes, turtles and tortoises, as well as fuzzier creatures such as meerkats, otters and tamarins. 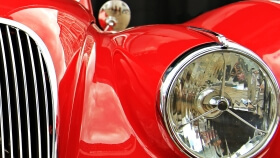 A massive collection of beautiful and rare vintage vehicles is the star attraction at the Cotswolds Motoring Museum, with a glimpse through time at the history of driving. There's also a range of toy vehicles from the past, including pedal cars and bikes and a variety of scale models. Why not explore one of Britain's most impressive castles? 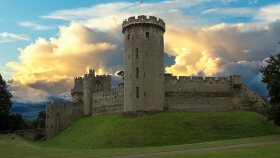 Far from being a dusty fortress from the past, Warwick Castle runs a range of shows and events that really bring history to life. There's so much to see and do, it's definitely worth checking what will be running during your visit. 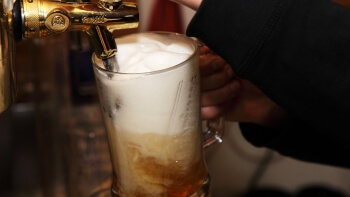 The Kingham Plough is an award-winning traditional British pub less than a 10-minute drive away. It serves delicious food, and kids and dogs are welcome. The Wild Rabbit, also in Kingham, is a beautifully renovated 18th century pub and restaurant which is definitely worth a look too. 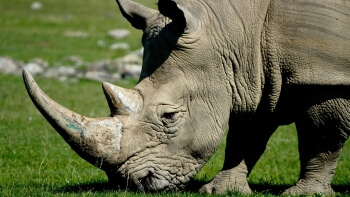 Cotswold Wildlife Park and Gardens gives the whole family an opportunity to get close to amazing animals including rhinos, lions, giraffes and much more. Or you can step into history with a trip to Cogges Manor Farm, a 'living museum' that offers a glimpse at farm life in the past. Just a mile from the cottages, you'll find the Wychwood Golf Course, offering fantastic golfing facilities and a challenging course with the bonus of fantastic views. 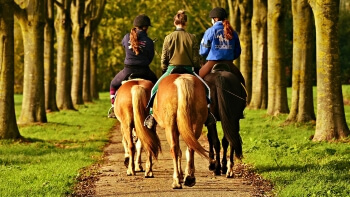 If you'd rather spend your time horse-riding, both Bourton Vale Equestrian Centre and Cotswold Riding at Durham Farm are nearby. Looking to explore one of the most beautiful areas of the UK by bike? Take a look at our favourite cycling routes through the splendid Cotswolds scenery. The UK has countless beautiful landscapes that are well worth exploring, but if you'd like our pick of the best, take a look at our blog post for some helpful hints. There are more entertaining ways to beat the heat in the height of summer than just drenching yourself beneath a cold shower - check out our tips for a cool time.